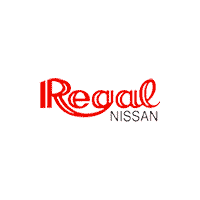 Regal Nissan in Roswell, GA has a Rental Car for you! Looking to rent a car? Regal Nissan offers a wide variety of Nissan models including the 2019 Nissan Altima, which gets 39 MPG and the 2018 Nissan NV Passenger Van, which seats up to 12 people. Our rates are competitive, and our selection consists of all new Nissan vehicles. We currently stock over 40 vehicles in our fleet. • Save $ on gas! Rent a more fuel-efficient vehicle. • Drive safe! Rent a more reliable vehicle. • Need more space? Rent a vehicle with more seating or luggage space. • Park your car in the garage! Avoid excessive mileage, maintenance, and depreciation on your personal vehicle. • Indulge! Pamper yourself with a premium vehicle. • Research! Test-drive a new vehicle (possibly your next purchase). • Don’t overdo it! Prevent putting miles on your leased vehicle and paying penalty fees. • Had an accident? Rent a vehicle while your car is being repaired and let insurance pay for it. So, when you’re looking for a rental car that’s convenient and affordable, make it right and make it Regal. Give us a call today to reserve your rental car @ (770)998-8686.